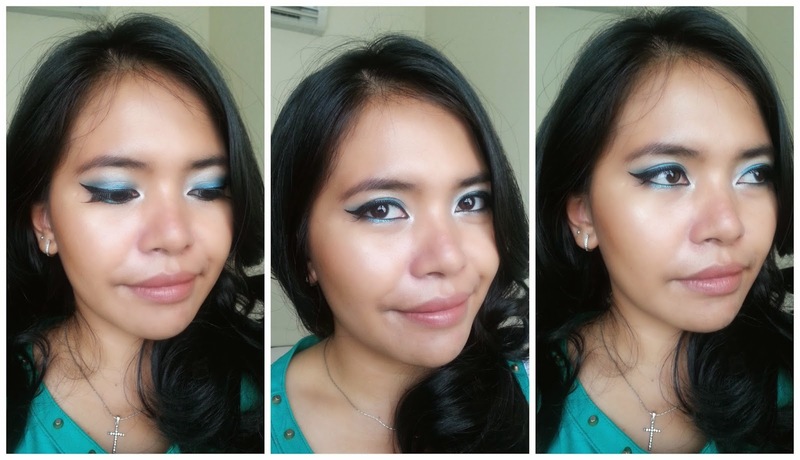 Sapphire Eyeshadow + Lip Care from Muslimah by Sophie Paris and Giveaway! I am pretty sure lately you've heard alot about Muslimah by Sophie Paris , since so many beauty bloggers reviewing it these last few weeks. And I am so happy because I also got the opportunity to try out some products from Muslimah by Sophie Paris. I got the chance to pick one of their product to be reviewed. 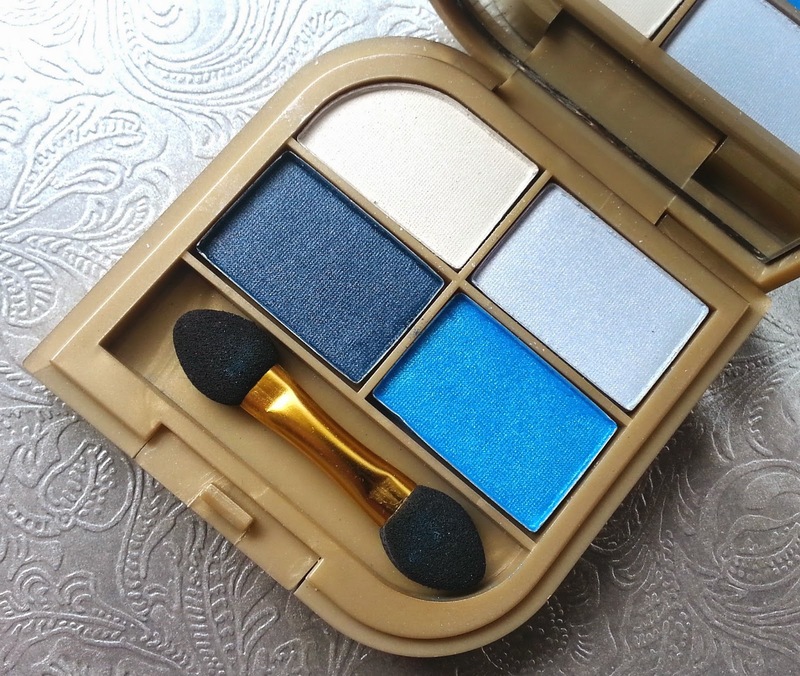 And since I am a sucker for eyeshadow palette, I picked their Sapphire Eyeshadow which has these pretty blue range of colors. So first of all, let's talk about the packaging first, which is so beautiful. It's small, sleek, and not boring-looking. It's so adorable! Inside, it has 4 shades of eyeshadow in standard size. All these shades are shimmery and yet have different texture and pigmentation. The white shade and light blue shade have a good pigmentation but tend to be chalky. Sapphire blue shade, which is the color under the light blue, is such a pretty color with a more noticeable micro glitter, but when i patted it on my lid, the color's payoff was just okay, not the best though. The dark blue shade was also has a so-so pigmentation, it isn't as dark as I expected it would be. However, you certainly can create a very beautiful eye look with this eyeshadow, and I think the color combo for this palette is great. 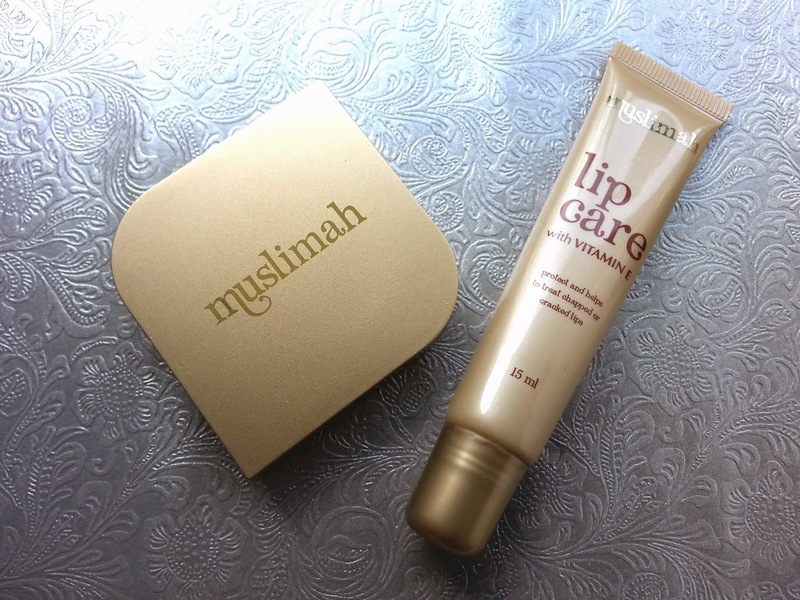 So another surprise that I got from Muslimah by Sophie Martin is this lip care product! It was a nice little surprise since I was only expecting one product , but then it came up with another product, Muslimah Lip Care. This product contains vitamin E that will protect and helps to treat chapped or cracked lips. And the smell, OMG, i love it! It has lychee scents which make me, literally, want to eat it. 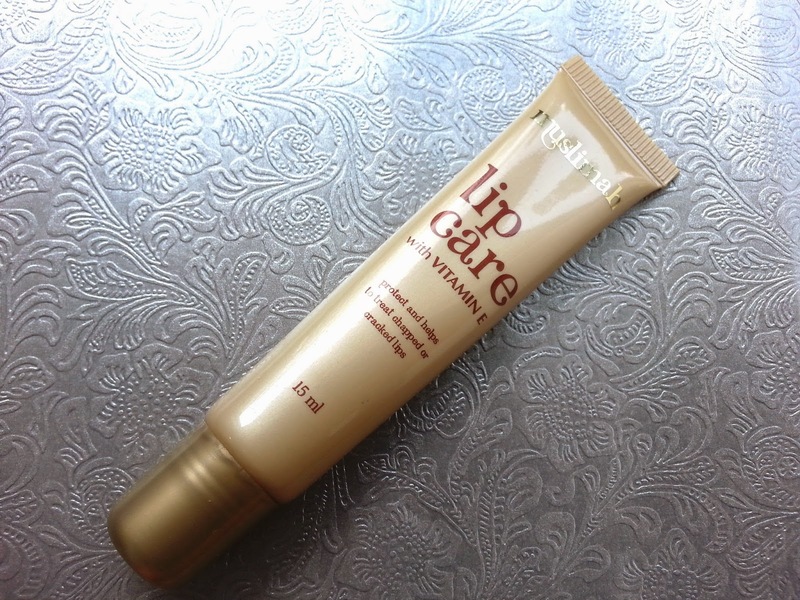 The texture is standard for a lip care, it's moisturizing without feeling sticky on your lips. So the rules is so easy peasy lemon squeezy, I hope you will join this giveaway and win one of product from Muslimah by Sophie Paris! This product was sent to me by sophieparis.com for review purpose, all thoughts and opinions are my own. ”ini untuk apa ya?? Cara pakai na gimana ya”, ”ini koq warna na aneh sama kulit gw”. aku juga punya yang ini..